I’m up late writing on a little project and thinking about Marlene’s debut this evening. As much as I’m ready for it, I’m nervous and excited and all of those things that happen when our blood and guts are strewn out for public display. 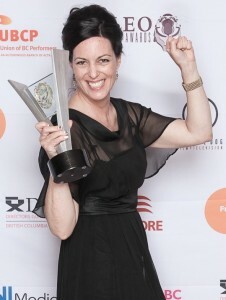 We are up for Best Canadian Feature, Best BC Film and BC Emerging Director. Saturday I am off to the Busan International Film Festival as we are nominated in the Flash Forward program. 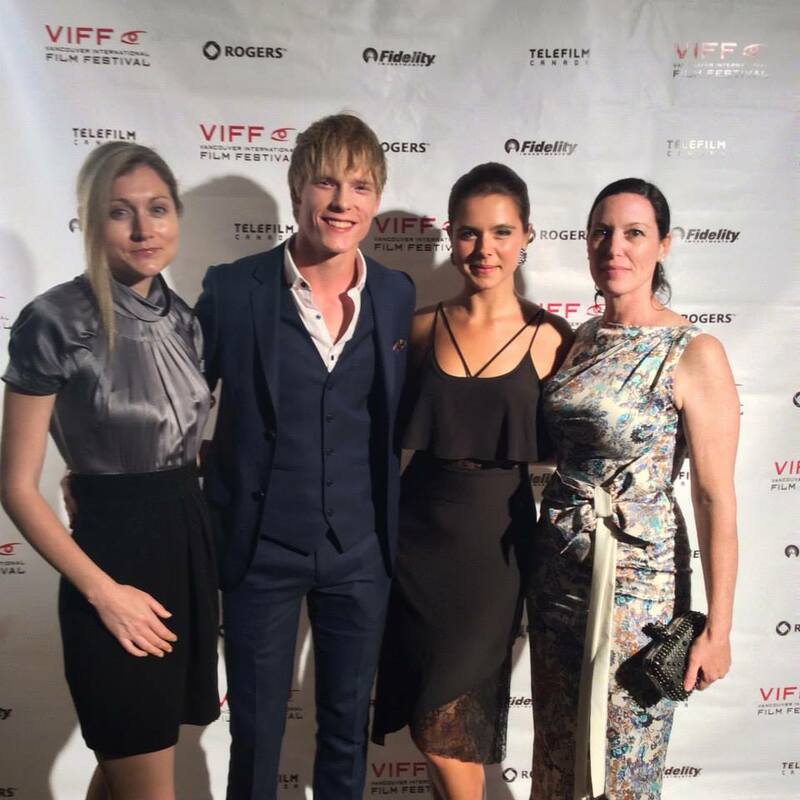 Here we are: Amber, Dakota, Paloma and I at the VIFF Opening Gala. Tonight, Wednesday, October 1 will be the first screening for us all; cast & crew, family & friends and VIFF audiences. Suzanne is shooting another feature and has sent a lovely note that she will be with us in spirit. And does Marlene have a spirit! Must get back to writing and get a nap in before the sun rises. It’s a magical time…. Last weekend was full of wonderful Leo Award surprises. We (Grant Pearse) got a Leo for Production Design and then I got one on the gala night for Best Direction of a Feature Film. The lovely Paloma Kwiatkowski took a break from filming in Los Angeles to come up for her nomination as well. I could get used party frocks and red carpets. Thanks for all the support over the years! Best Feature, Direction, Screenwriting, Picture Edit, Sound Edit, Production Design and Female Lead. Wow. We’re just submitting for festivals now so this is encouraging news. I’m happy to announce that we’ve finished principal photography on “Sitting on the Edge of Marlene” and are now into picture edit. has been chosen to go to the Whistler Film Festival for market preparation. We will have pre-festival mentorship with producer Mary Anne Waterhouse (Quadrant Motion Pictures) and festival support with Angie Nolan (Whistler Film Festival Society) and Rachelle Chartrand (Women in Film and Television Vancouver). 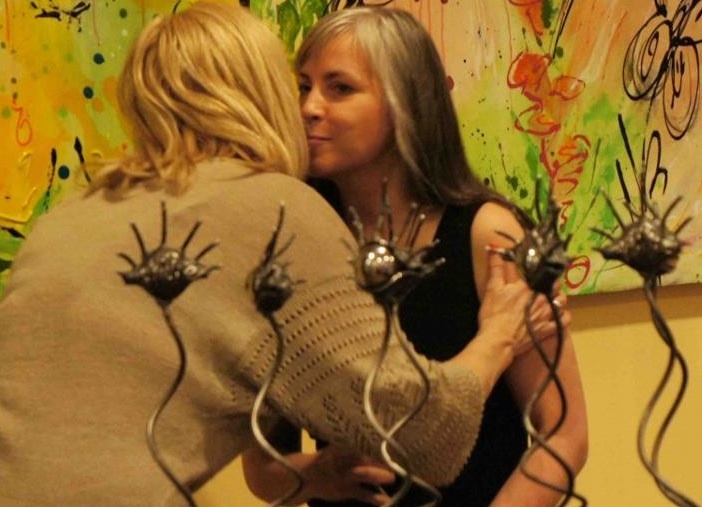 “Sitting on the Edge of Marlene” had a nice table read at Toronto’s Female Eye Film Fest bringing home the Best Screenplay Award. Many thanks to Leslie Ann Coles, Mark Sanders and the staff and volunteers for another great festival. 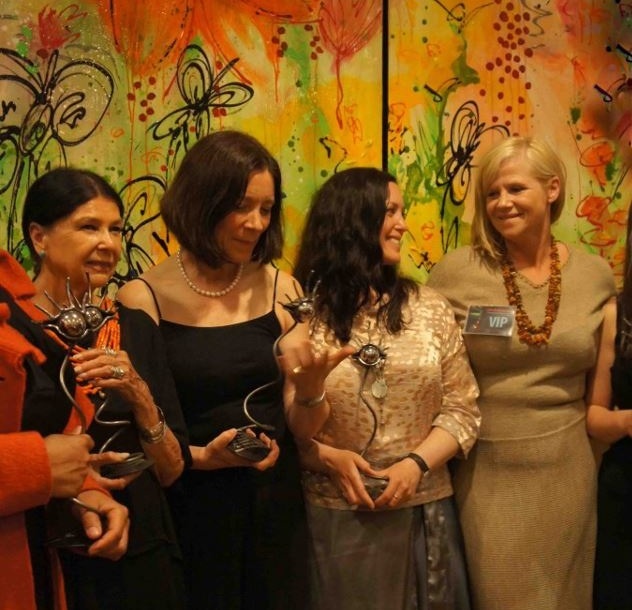 Also awarded were: Alanis Obomsawin (Tribute), Barbara Willis Sweete (Honorary Director) and Carol Whiteman (Honorary Maverick). The latest draft of Sitting on the Edge of Marlene has been selected for the Good to Go program at the Female Eye Film Festival in Toronto. The festival runs from June 20 – 24 and “Marlene” will have a few scenes read as a tasty teaser at 1:00 on June 22, 2012 at the Novotel in Toronto. …in other news, How Eunice Got Her Baby was given a nice nod in The Toronto Film Scene online magazine. What an amazing three weeks! We have just completed the Women In the Director’s Chair program at the Banff Centre for the Arts where I was workshopping a scene from “Sitting on the Edge of Marlene”. Wonderful people…great program. Off to Montreal to work on development with M. Arcand’s wise guidance…. Wow. A glamorous day indeed. The WIFT-T Crystal Awards on December 5th. I was presented with the generous WIFT-T Kodak New Vision Mentorship Award which includes business guidance from Laurie May of Alliance and creative guidance from Deepa Mehta. Film stock for Marlene!!!!!! Yay! It’s a rare opportunity to shoot on film these days.